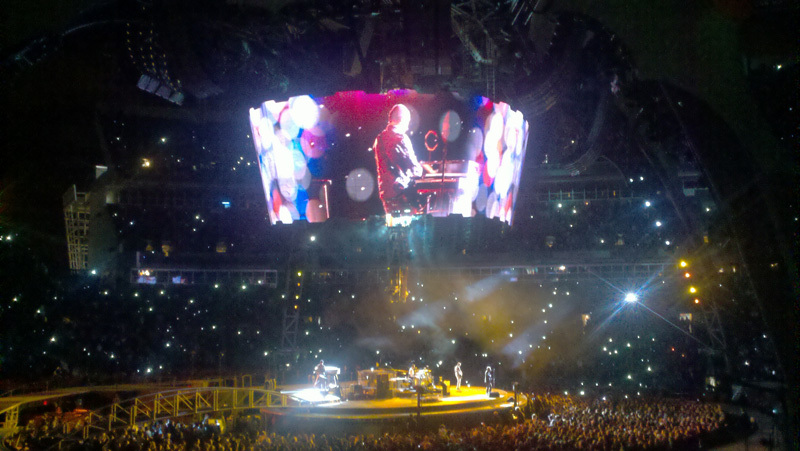 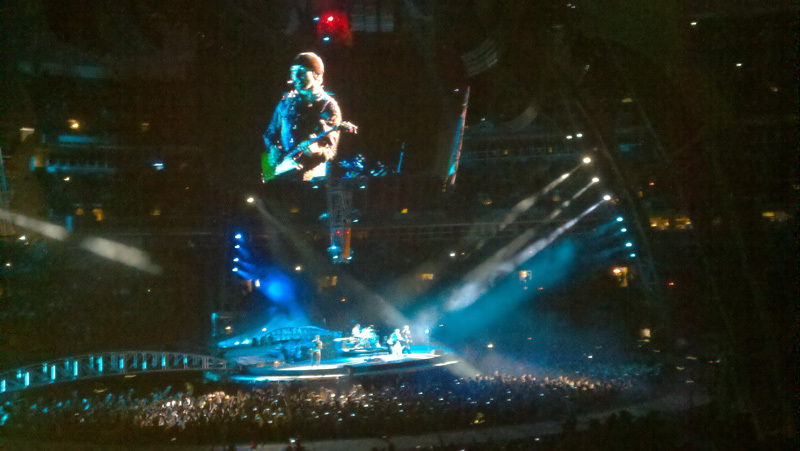 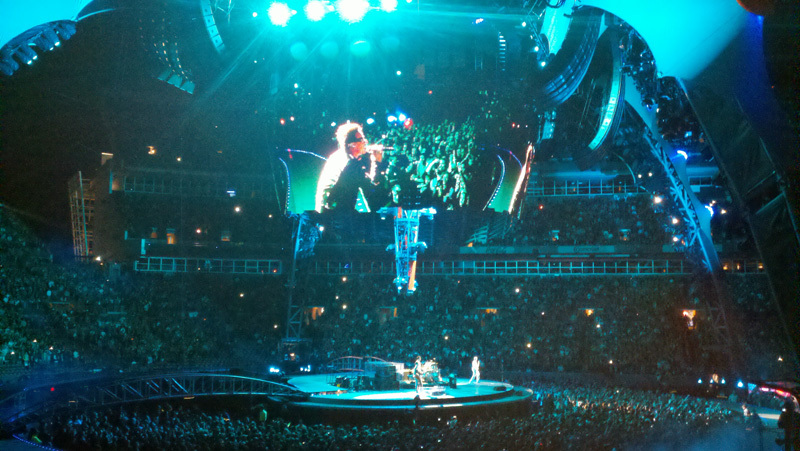 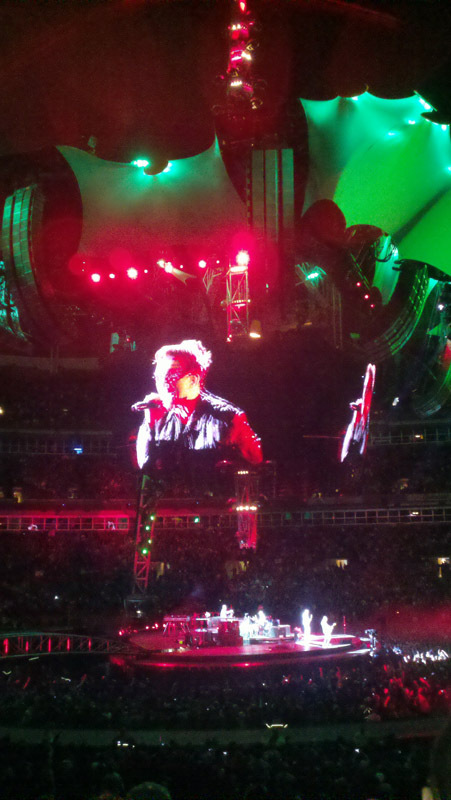 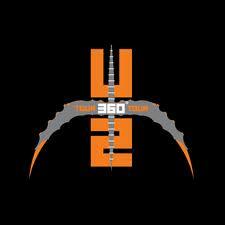 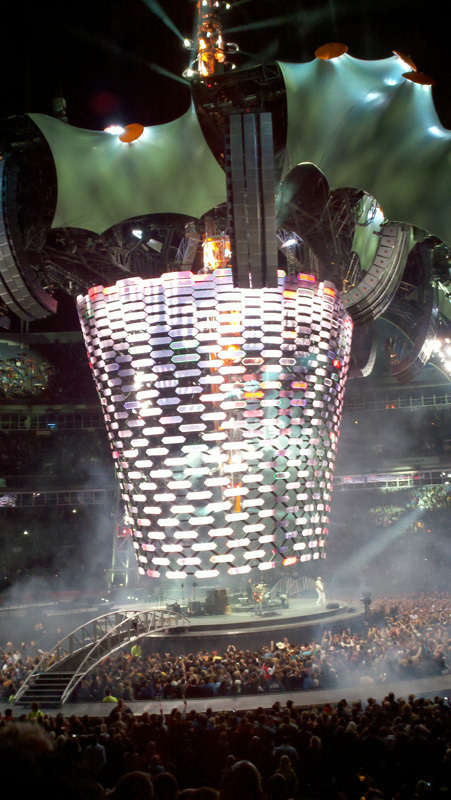 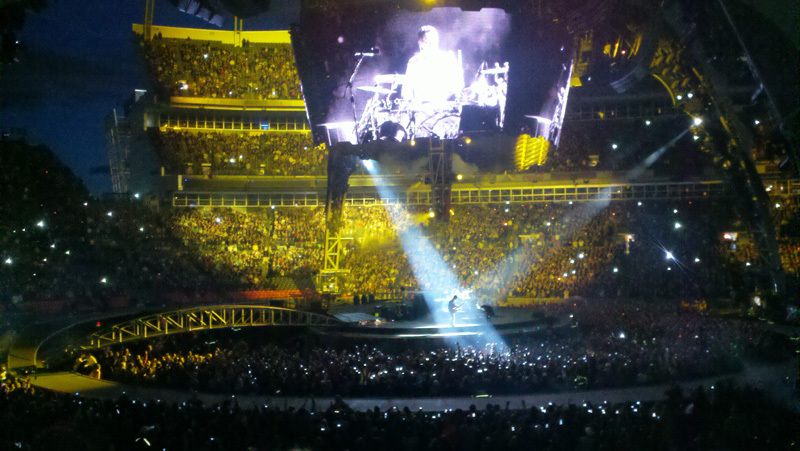 In May we decided at near the last minute to acquire tickets and attend the much hyped U2 360 Tour at Invesco Field with the Majcens. 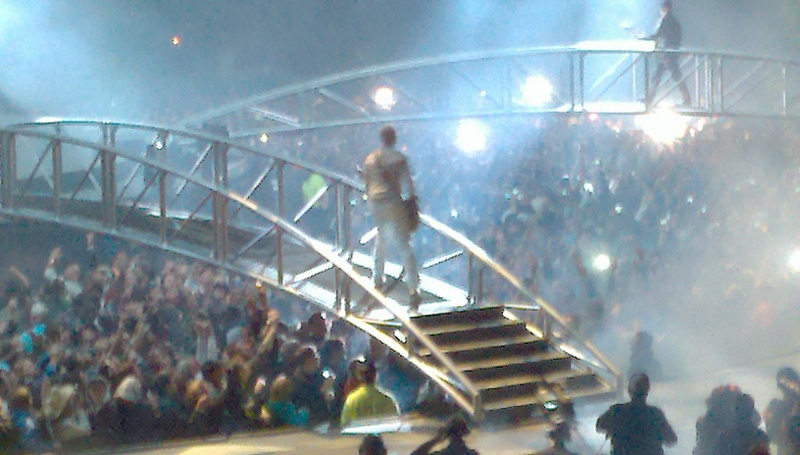 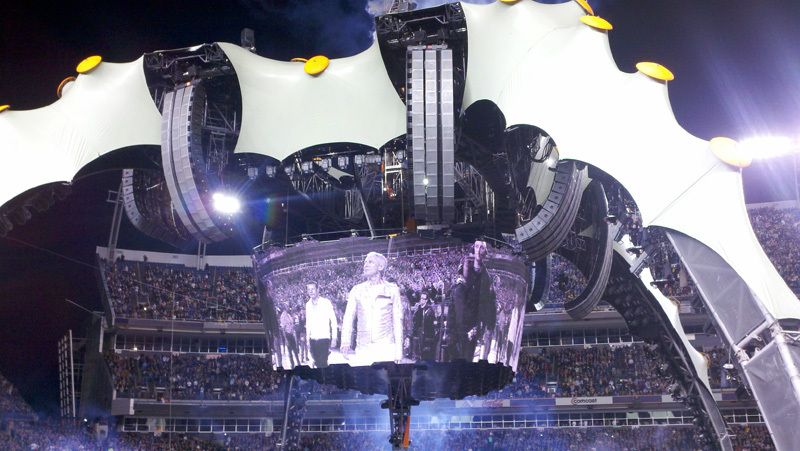 The 360 Tour ended as the highest grossing concert tour in history and featured one of the largest and most unique concert structures ever -- known as "The Claw". 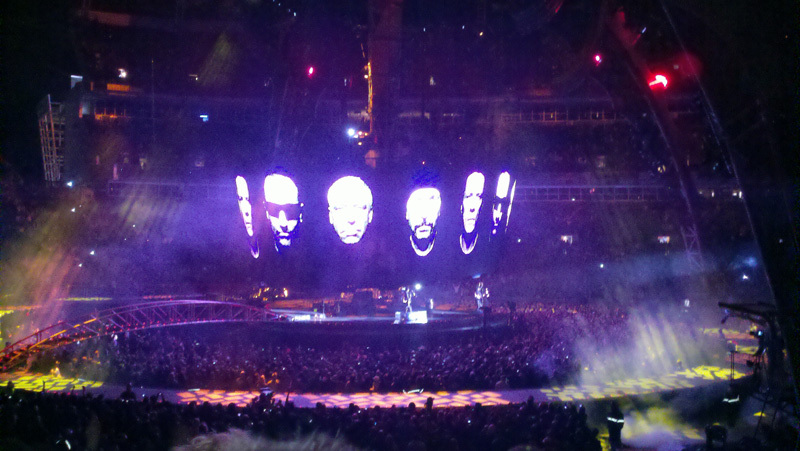 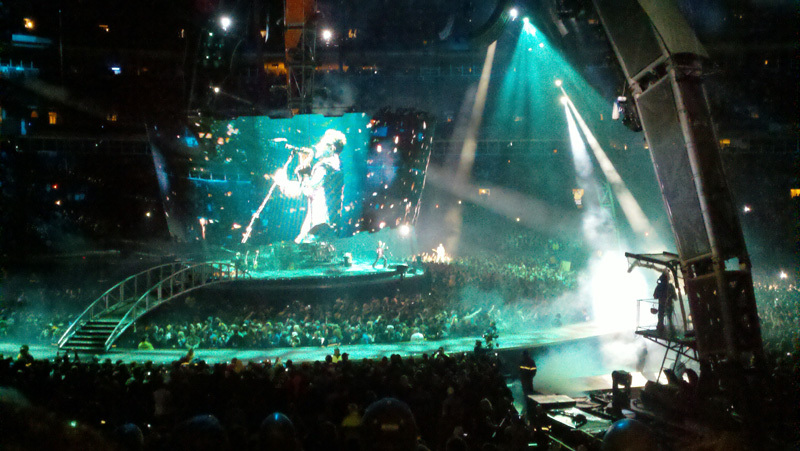 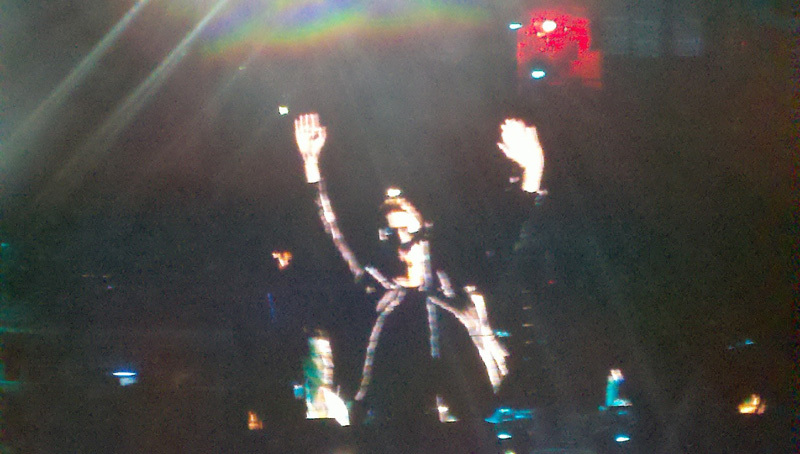 The concert atmosphere was amazing and overall the show lived up to the hype. 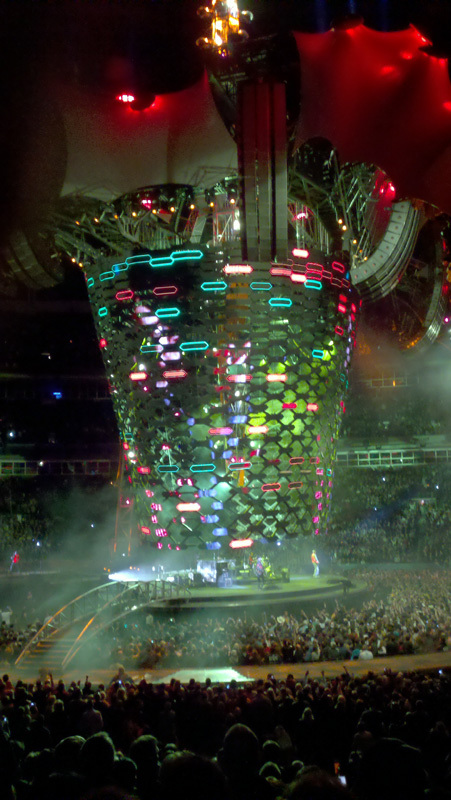 Arriving at the venue with "The Claw" in the background.